Here’s a double Mexican influence—turkeys as well as chiles are native to the Americas. This recipe will work with a breast as well as the legs. If using a whole turkey or breast, increase the amount of the marinade and inject the marinade in the bird as well as baste it when it’s smoking. 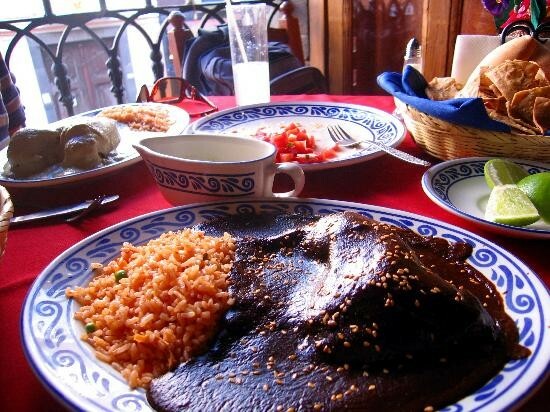 Use any Mexican chiles such as ancho, pasilla, cascabel, or guajillo. Serve with avocado slices, beans, and grilled corn on the cob along with corn tortillas. You can read Mark Masker's article on smoking turkey on the Burn! Blog here. In a pan, saute the chiles and onion in the oil until softened. Add the garlic and cumin and continue to sauté for an additional minute. Remove from the heat. Combine the chile mixture along with the oil, orange juice, lime juice, achiote paste, oregano, cloves, salt and pepper in a food processor or blender and puree until a smooth sauce. Make slits in the turkey to allow the chile oil marinade to penetrate. Place the turkey and marinade in a large plastic bag and marinate overnight. 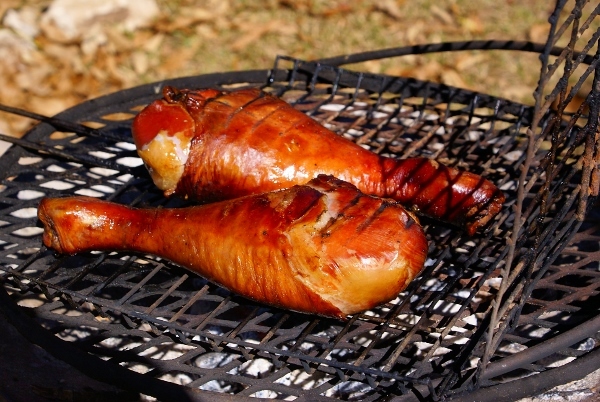 Prepare the smoker using hickory or pecan wood and smoke the legs in 200 degree smoke for 3 to 3 ½ hours or until the turkey is done to an internal temperature of 160 degrees F. If you wish to continue marinating, simmer the marinade in a pan for 20 minutes and brush it over the legs occasionally. When done, remove the turkey from the smoker and brush with the marinade. 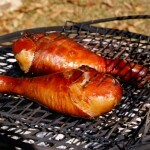 To serve, slice the smoked turkey off the legs and serve with the sauce of your choice.